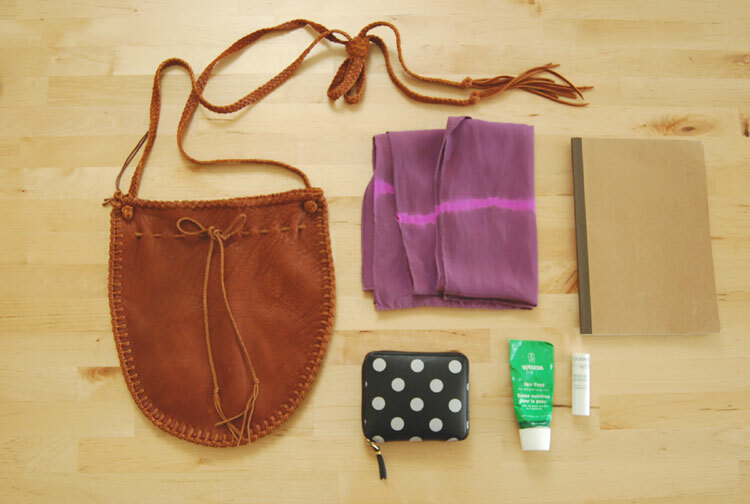 s+s scarf, notebook, cdg wallet, weleda skin food, and caudalie chapstick. thanks for the tag, joyce! Your bag is lovely. I love the braided strap. that bag is amazing! do you know who made it? my dutch friend, mady, told me weleda products are fabulous!!! Thanks, Renee! I love all your picks, esp. the scarf. All lovely items. Scarf, journal, bag,so nice. yes, weleda is the best! i rely on it heavily during the winter. rebecca--i'm not sure who made the bag. there's no label attached but i purchased it from relish (a shop in DC) a few years back. this is cute, i just did one too. is that notebook from muji? i have one just like it. from kinokuniya. i love these notebooks!